A’DAM LOOKOUT provides an unrivaled 360 degree view of Amsterdam and the surrounding area. From the top floor and the sky deck of the A’DAM Tower you’ll see the historical centre, it’s pulsating port, Schiphol airport and the unique polder landscape. On clear days you can see as far as the surrounding cities such as Utrecht, Alkmaar and Haarlem. Over the Edge is Europe’s highest swing on A’DAM LOOKOUT’s sky deck. 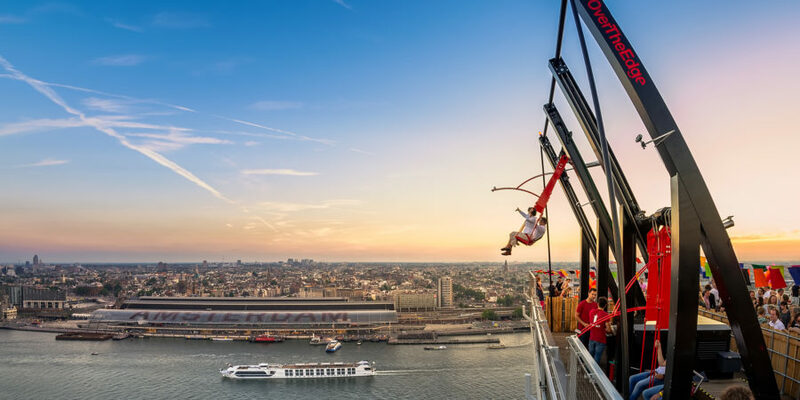 Daredevils and trill seekers swing back and forth at a height of 100 meters over the edge of the A’DAM Tower with Amsterdam under their feet. Enjoy the view of the city while the adrenaline flows through your veins. We make breathtaking photos and videos of your visit to LOOKOUT that you can share with your friends and family via social media. 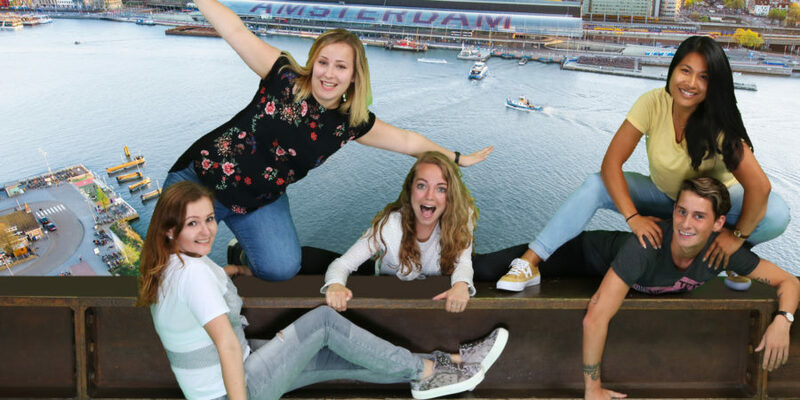 At the start of your visit to A’DAM LOOKOUT, a spectacular photo is taken by the GoPhoto team in which you balance over Amsterdam without risking your life. GoPhoto also takes photos and delivers a video of your swing ride (in daylight only). After your visit, you can download all photos for free and buy them printed at the exit. 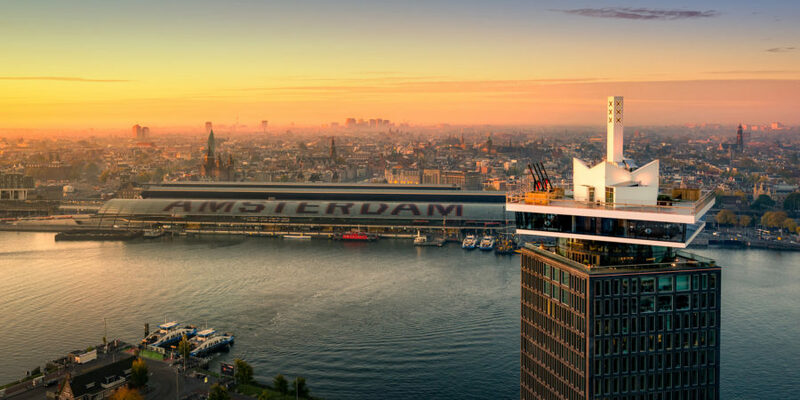 At the indoor LOOKOUT on the 20th floor, we’ll tell you more about the culture and history of Amsterdam. 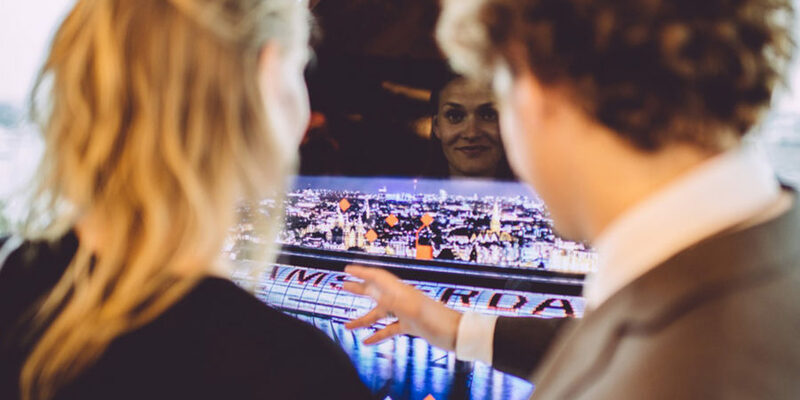 On interactive screens you can find out more about the iconic buildings of the city and we provide you with background information about the concept and residents of the A’DAM Tower. 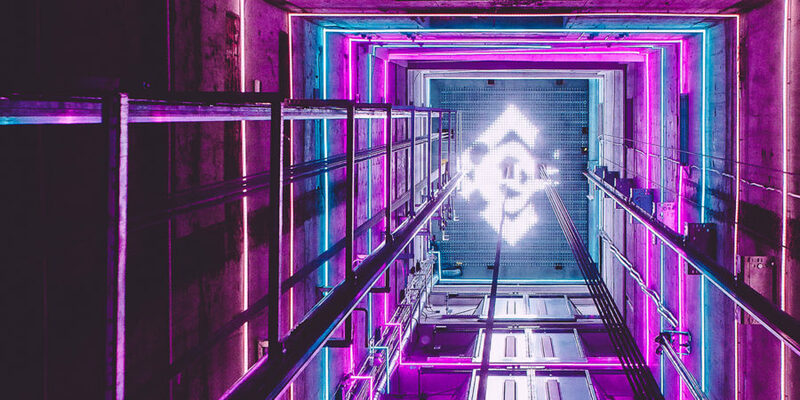 Our experience elevator takes you from the 1st to the 20th floor of the A’DAM Tower in 20 seconds. The elevator is equipped with various light and sound effects, making it the ultimate start to your visit. From the 20th floor you can take the stairs to the roof. Our employees guide guests with a disability via a different lift to the roof. A’DAM LOOKOUT offers a wide range of options for drinks, snacks, breakfast, lunch and dinner. 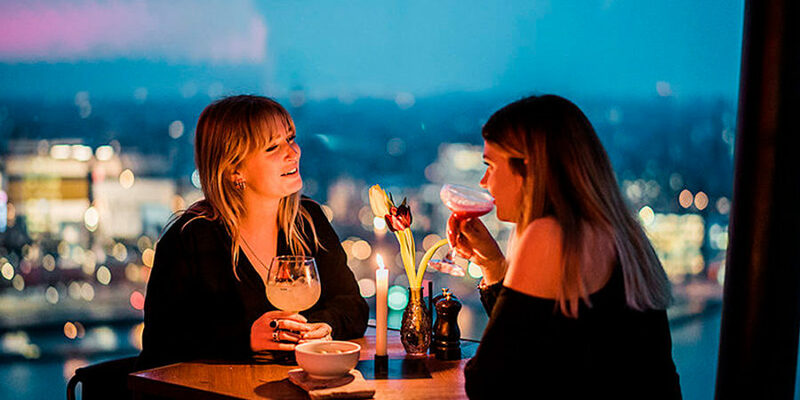 From coffee to cocktails and from a salad to a fine-dine 7-course menu – with the best view of Amsterdam. A detailed description of all options and menus can be found on our “eat & drink” page. Open daily 10.00 to 22.00 hrs. Last admission at 21.00 hrs.